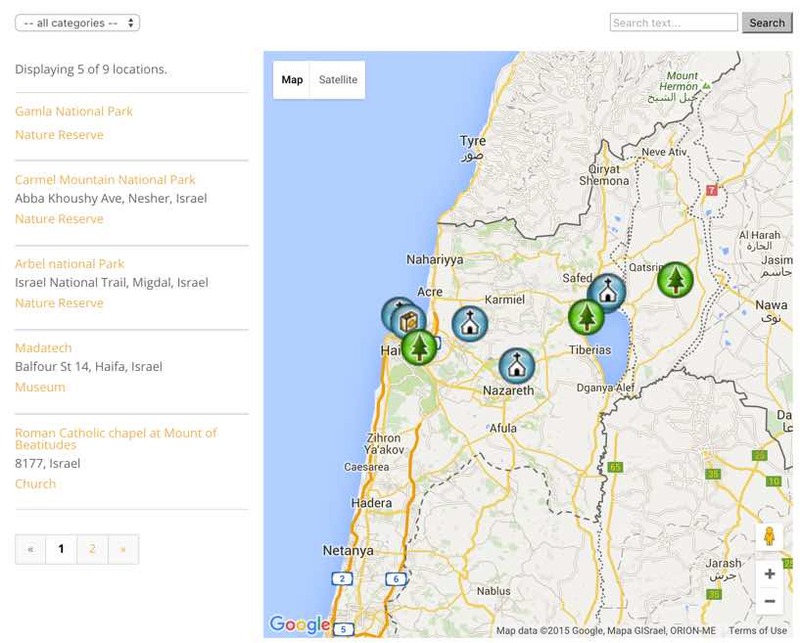 The Google Maps locations plugin manages locations and supports location finder using Google Maps. This maps plugin includes on map tooltip support, location description, zip search, customized markers, interactive map and images for each location. 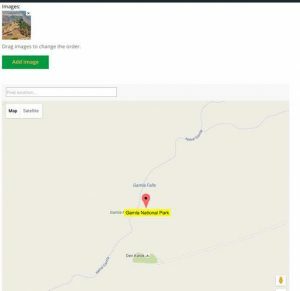 The Google Maps Locations plugin allows users to place a location or point of interest on a Google map together with relevant information for this location such as description, images, video, searchable markers, and full address including zip code. 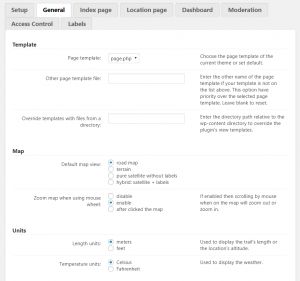 This WordPress Google Maps plugin displays all locations on a Google map as well as a separate custom map for each location on the detailed information page. 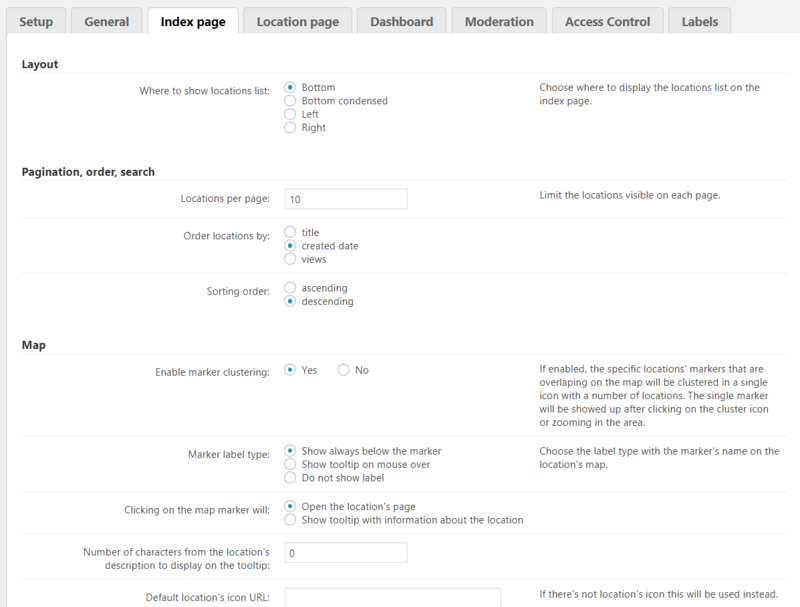 Custom Map styles with locations can be embedded within any post or page using shortcodes. 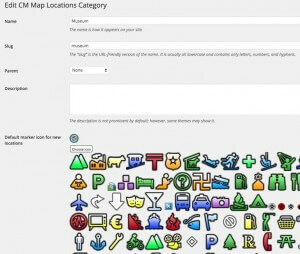 The Maps plugin allows each location to have its unique icon based on the category it belongs to or a specific set icon for a specific location using Google Maps navigation icons or your own uploaded icon. 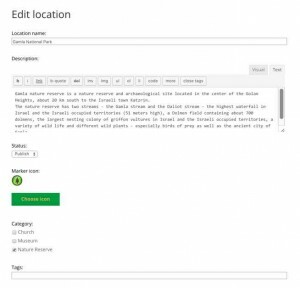 The interactive WordPress mapping plugin supports location finder and shows all locations in a directory using a mapping system. It can support several use cases, including a store locator system, point of interest exploration, restaurant guide, schools atlas and more. 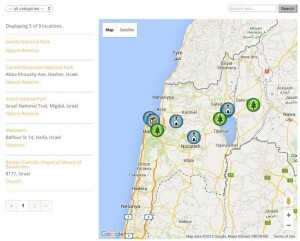 Create a store map, restaurant map or tourist attractions map. 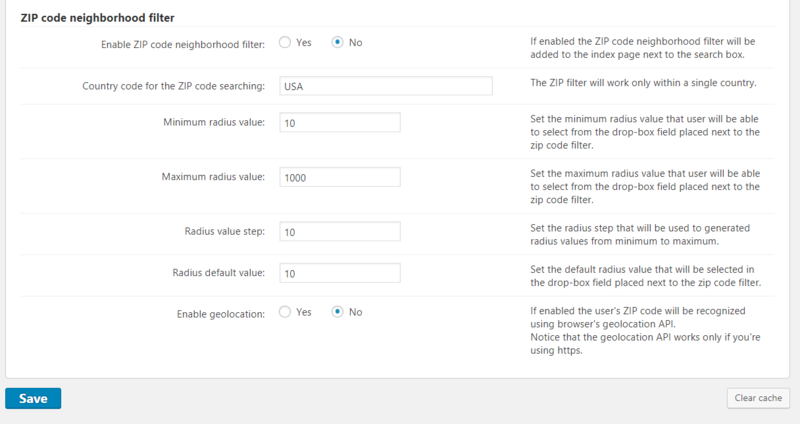 Searching map locations can be done by zip code or any other relevant filters which are set by admin. 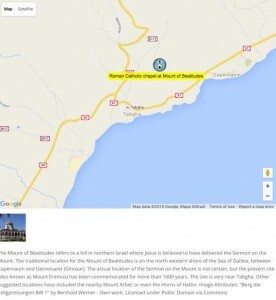 The Google maps location finder plugin supports importing and exporting map locations. 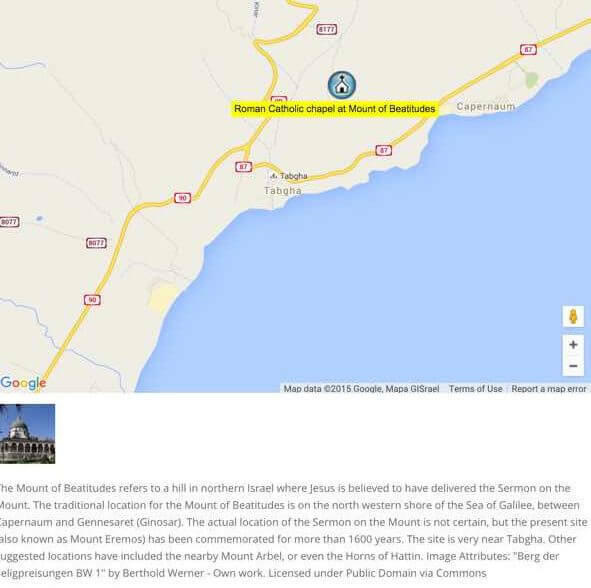 The custom maps WordPress plugin can display the location information in many ways. It can show a popup info box when clicking on the custom map markers or it can take the user to the location page where you can place additional information including images. It can also do a combination of both based on the plugin settings. 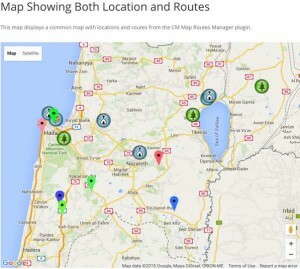 Using the location manager together with the routes manager plugin allows you to build a business catalog and show all businesses locations on a unique map together with Google map locations. 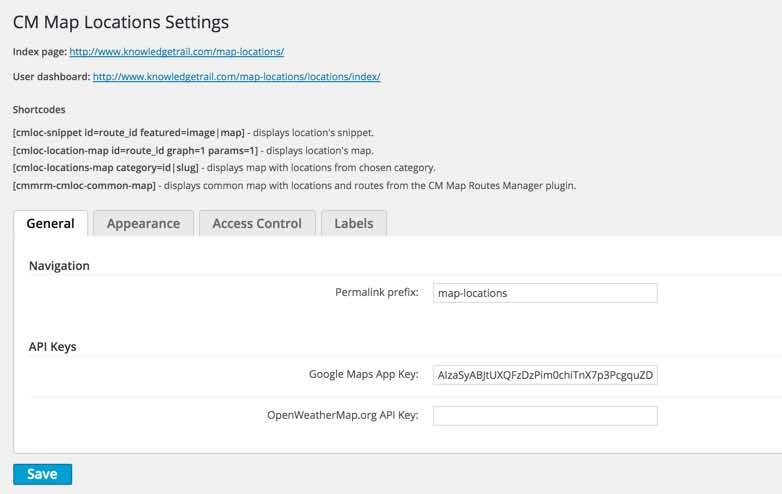 Using the location manager together with the business directory plugin allows you to combine both routes and trails and custom map locations on a single map. All frontend labels can be easily changed to any language so the user interface will speak your language. This also includes adjusting the terms used to match your use case. 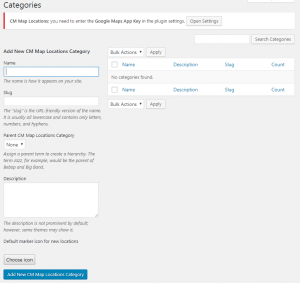 Place a location on a Google Map – Plugin use Google Maps as the base for placing location marks. You can choose to display the location on Google Terrain, Satellite or regular Map layout. Location Images – Each location can have several images together with a detailed description. 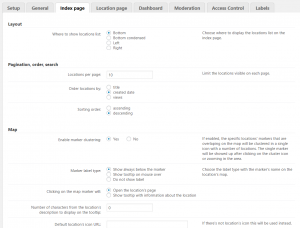 Location Index – All locations can be displayed in an index page listing all available locations. Locations can be filtered by several parameters. 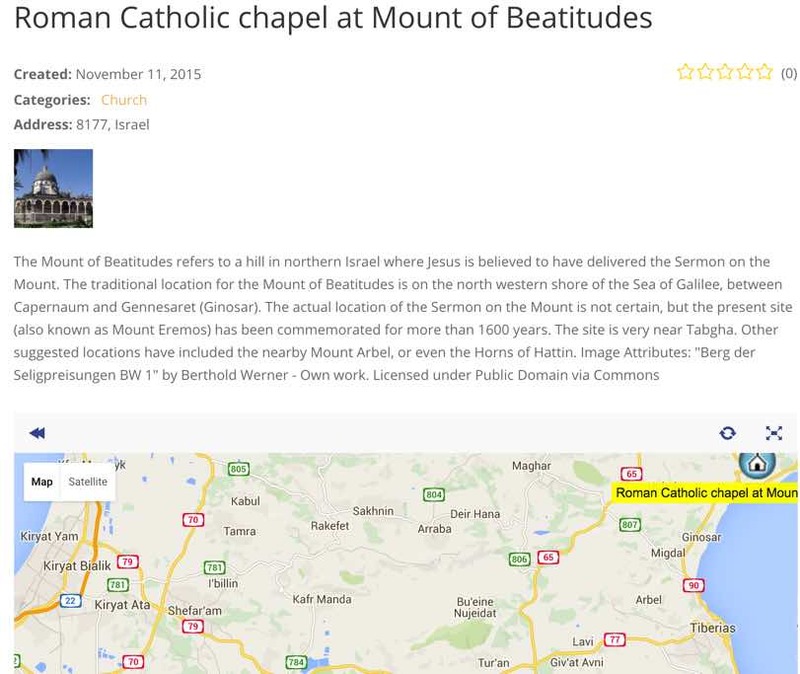 Index page includes both a map with all available locations and a textual list. 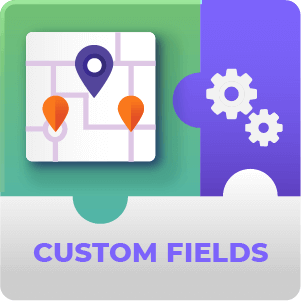 Supports Google Maps navigation – User current location while using a mobile app can be shown on the custom map along the marked location. 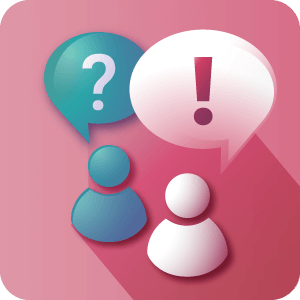 User can request for navigation information to the location if available. 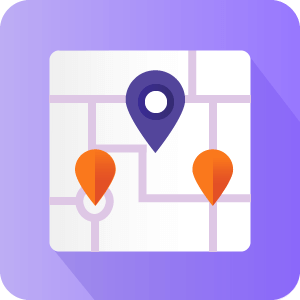 Display Templates – Choose between several display templates to support use cases such as a store locator, store list, store map, point of interest and more. 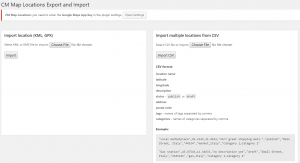 Import and Export Locations – Import and export locations using KML, GPX or CSV format. 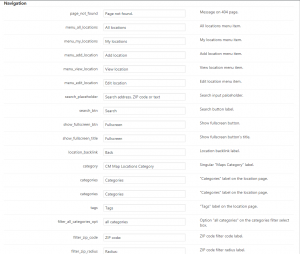 Categories – Place locations in categories and assign a unique icon for each category. Filter and display locations by category. Location Icon – Override location category icon with a unique icon per each specific location or upload your own icon. 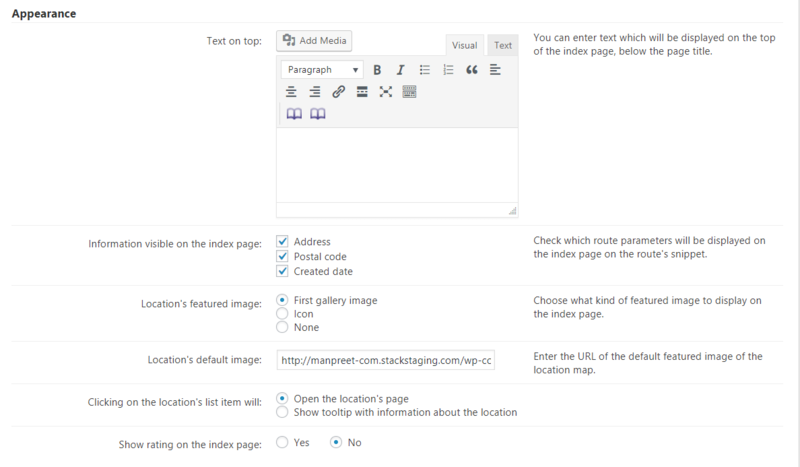 Images and videos – Images and videos can be added to each location. 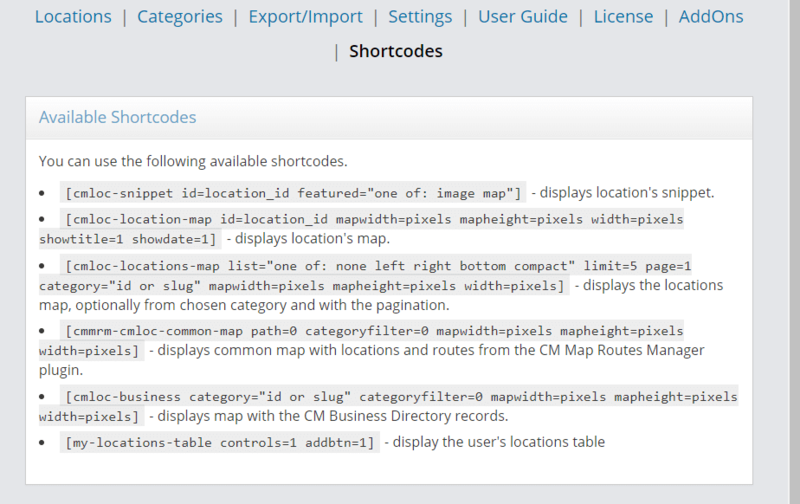 Shortcodes – Several shortcodes are supported. 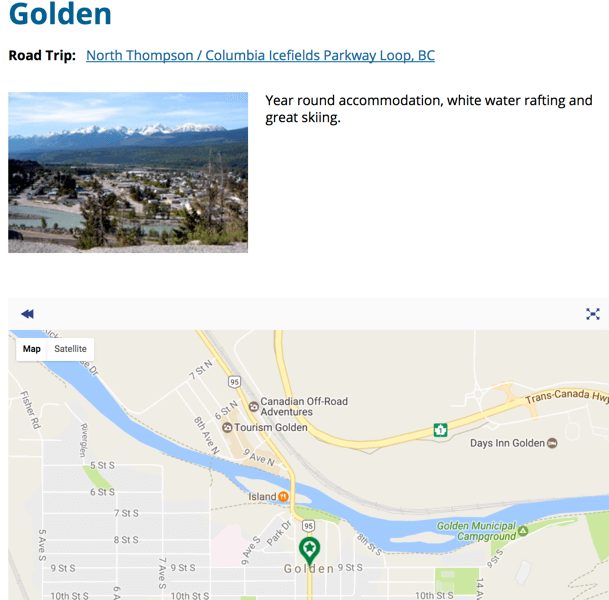 Shortcodes can be embedded in posts and show a single location, a unique map with all locations in a category, and more. 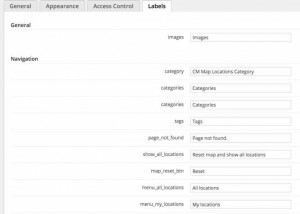 Tags – Tags can be added to locations and allow filtering of locations by tag. 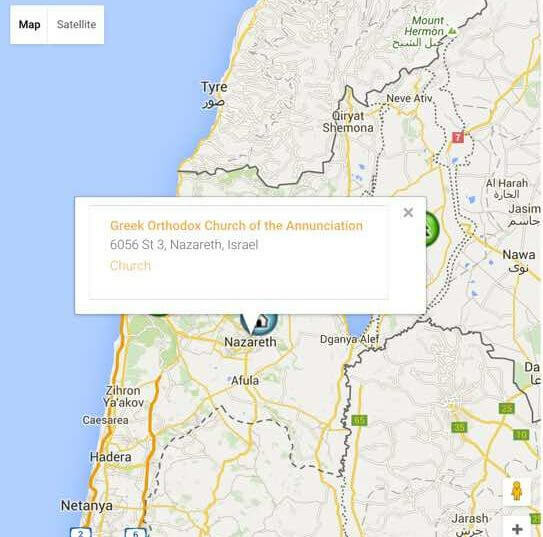 Search – Searching locations supports: description, zip code, addresses and locations name. 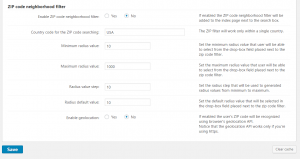 Search by Radius – Support for searching a defined radius from a postal code in any country. Can use the web browser’s geolocation API. 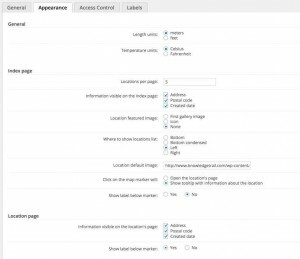 Access control – Set which role can create or view locations. Translate text labels – Easily modify all text labels and messages in the plugin settings. 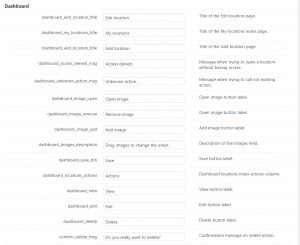 User Dashboard – Allow user to see all their posted locations in a dashboard. Let him add new locations or control the status of existing. 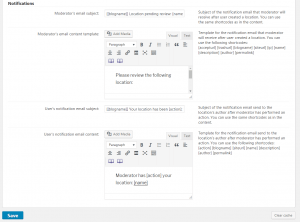 Moderation and Notifications – Let admin moderate user location postings. 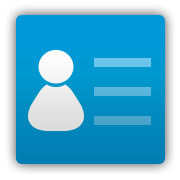 Send notification to admin when a new location is posted and waiting for moderation. The user receives a notification when location posting is accepted. Weather information – Weather information is shown near each location. 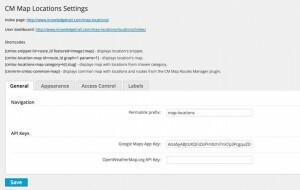 Maps Routes integration – Integrates with the CM Maps Routes Manager plugin to show both locations and routes on a joint custom map. 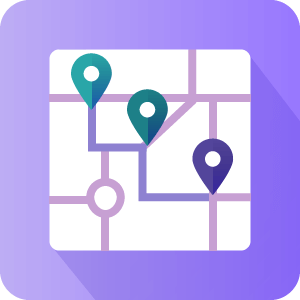 Business Directory integration – Integrates with the CM Maps Routes Manager plugin to show both locations and routes on a joint custom map. 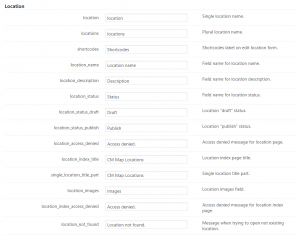 How many locations can be added to the plugin? Can I import locations into the plugin? Yes. It is possible to import locations on an individual basis using KML or GPX files. 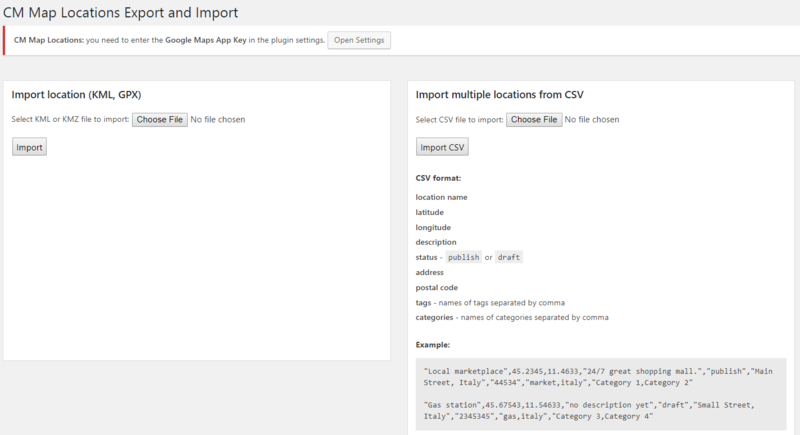 If you need to import many locations at once it is possible to do this with a CSV file with information about each location and coordinates. See this documentation article for a more detailed explanation of how it works. 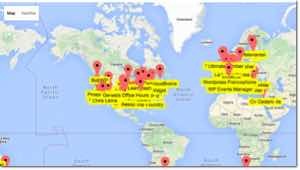 Can I move all my locations from one site to another? Yes. We have a built-in import and export solution which support moving the locations from one site to another. How many images can be added for each location? There is no limit to the amount of images which can be included in the location description. You can also add video clips. Is it possible to replace the pointers / icons for locations? Yes it is. 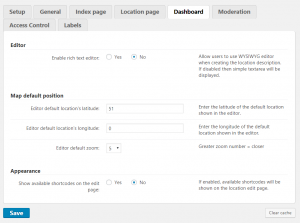 The default pointers can be changed for different ones that are included with the plugin. Alternatively, you can import your own as image files to use. This works for Icons too, if you have custom icons you would like to appear above certain locations. 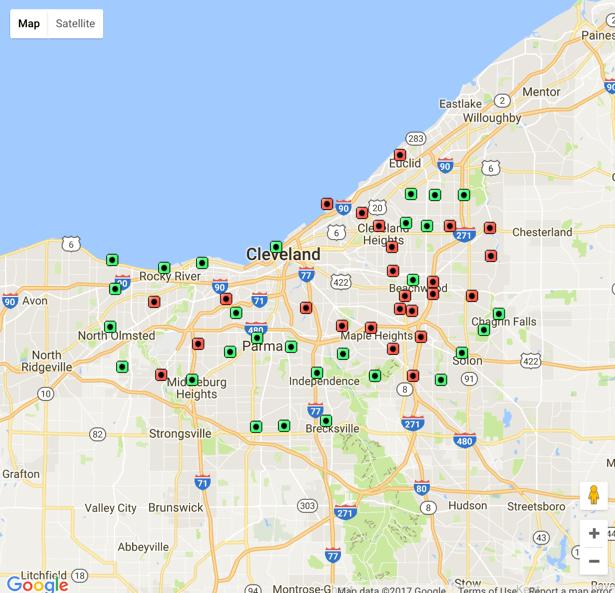 Can site visitors search for map locations using postcode / zip code? Yes, we have made it possible for your visitors to search using zip codes. 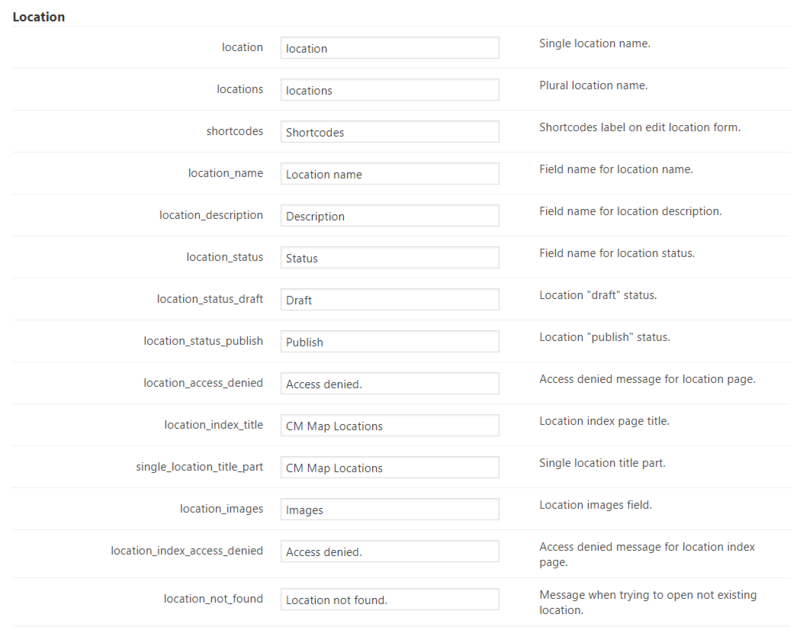 This feature needs to be enabled in the Plugin settings CM Map Locations Pro → Settings → Appearance. For more details on setting this up and using it see the documentation article. After installing, I found that the plugin lacked some necessary functionality. I contacted support and they quickly responded and assisted with my requested changes. Appreciate their hard work and the use of their great plugin! 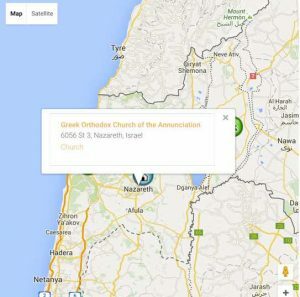 Cool tool for marking locations and building a Google Map with point of interest. I had some issues and contacted support and the response was very quick. I was looking for something exactly like this. Works great! 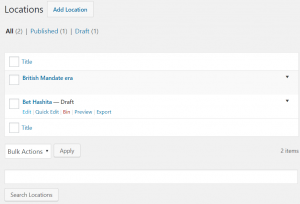 Fixed bug with duplicated fields and wp action names. Removed Japanese temple symbol from icons. Fixed geolocation popup message issue. 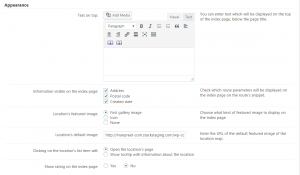 Loading info window content by AJAX for the optimization reasons. Fixed bug with map not showing in the shortcode cmloc-location-map. Fixed bug with map not showing up on the index page for only one location. Fixed issue with map’s marker clustering. 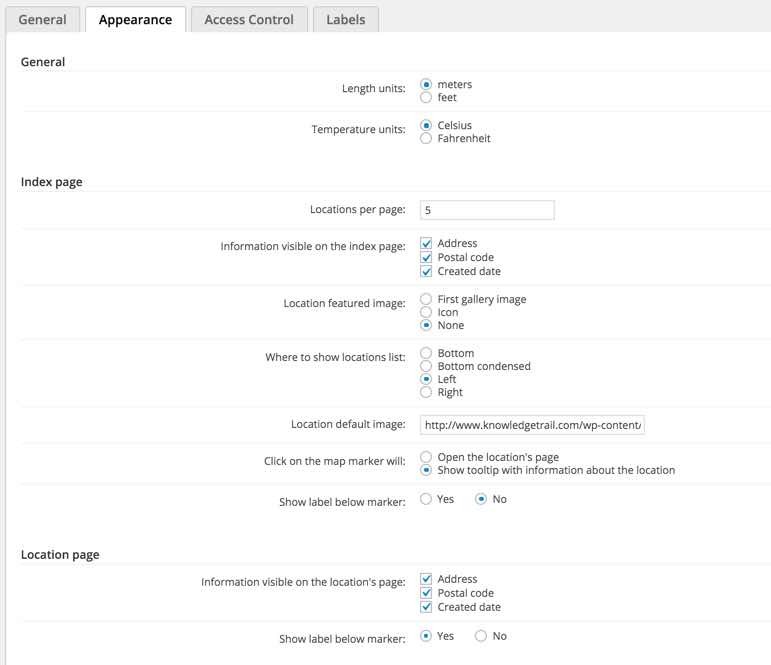 Fixed mixed content (https) problem with the Google Maps icons. Added loader when uploading an image. 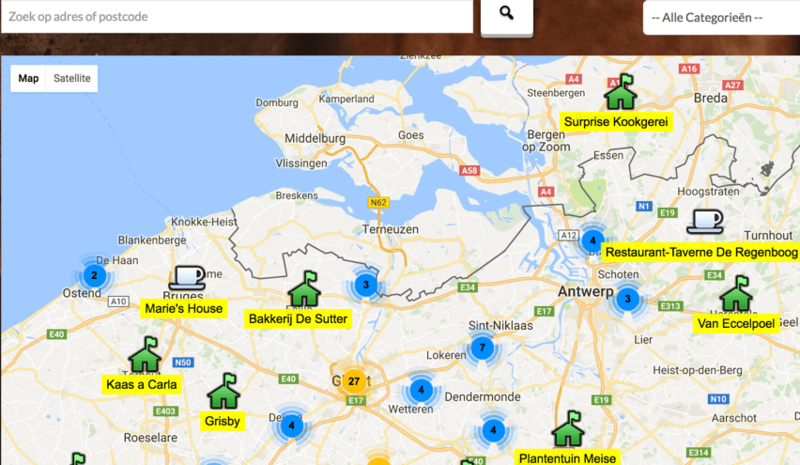 Added option to hide the Google Places on the map. Added ordering location from the current user’s location. Added an ability to manually set map zoom. Business Directory Integration: Added an ability to set business location coordinates manually. Fixed showing the website address instead of the email address in the location info window. 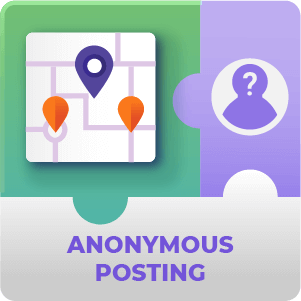 Changes related to new addon: anonymous locations posting. 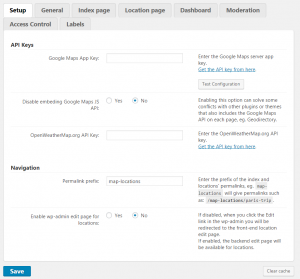 Changes related to the Business Directory integration: added the zip code radius filter. Fixed CSS issue in the index page layout. 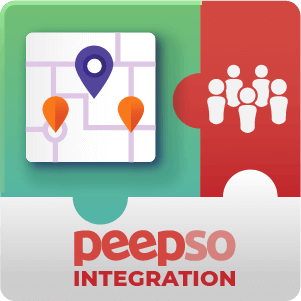 Changes related to the PeepSo addon. Fixed filtering by author in a map shortcode. 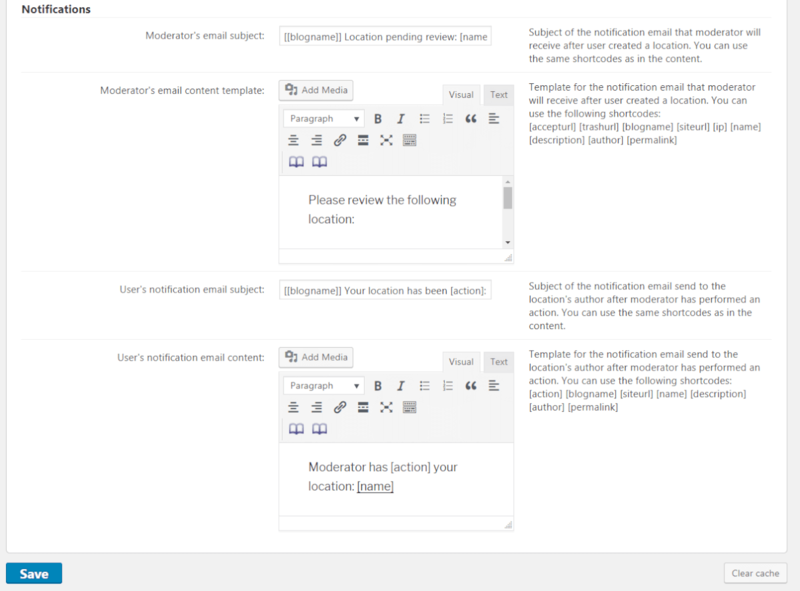 Added moderation and notifications features. Added media library access option. Added option to choose the location’s icon size. 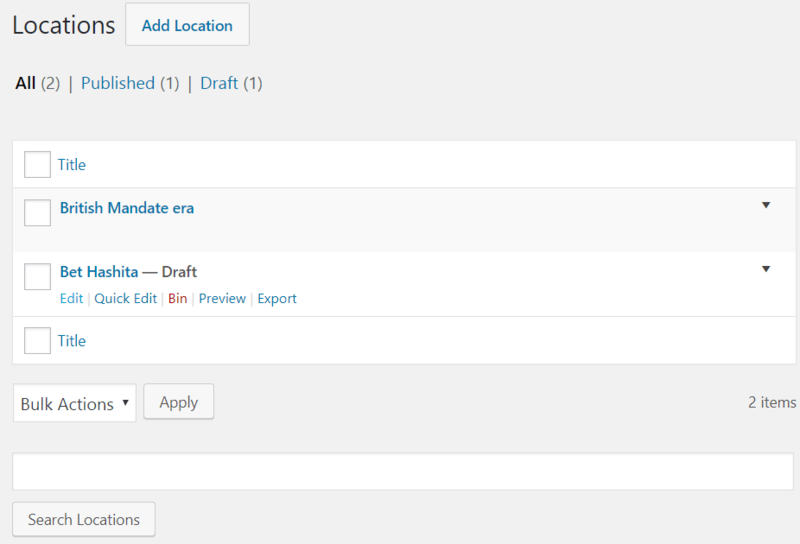 Added option for the location title label. Closing info window when escape key pressed. 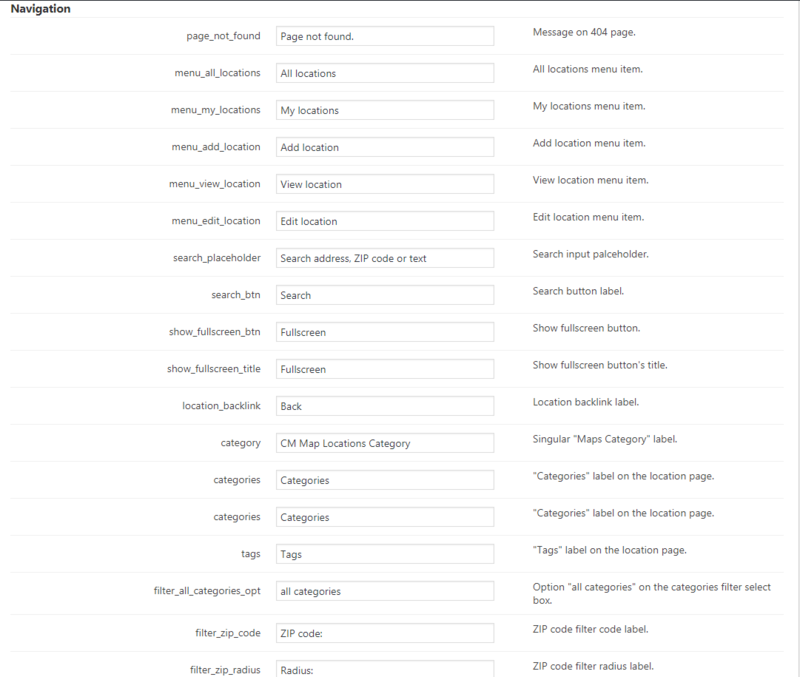 New organization of the settings page tabs. Added new parameters for the map shortcodes: mapwidth, mapheight, width. Fixed issue with the geolocation timeout. 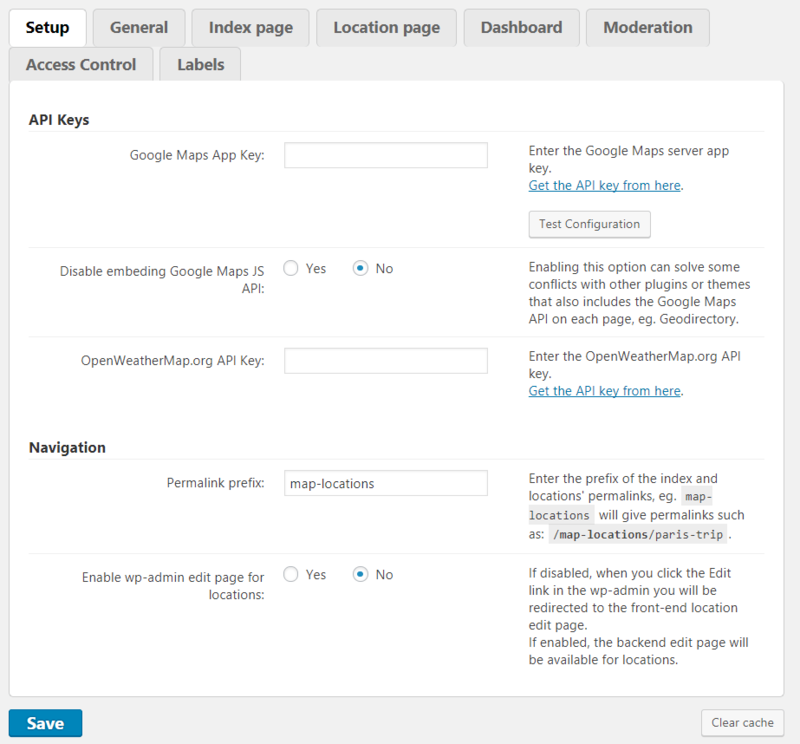 Added option to not embed the Google API to avoid conflicts with the Geodirectory. Added markers clustering for index map. 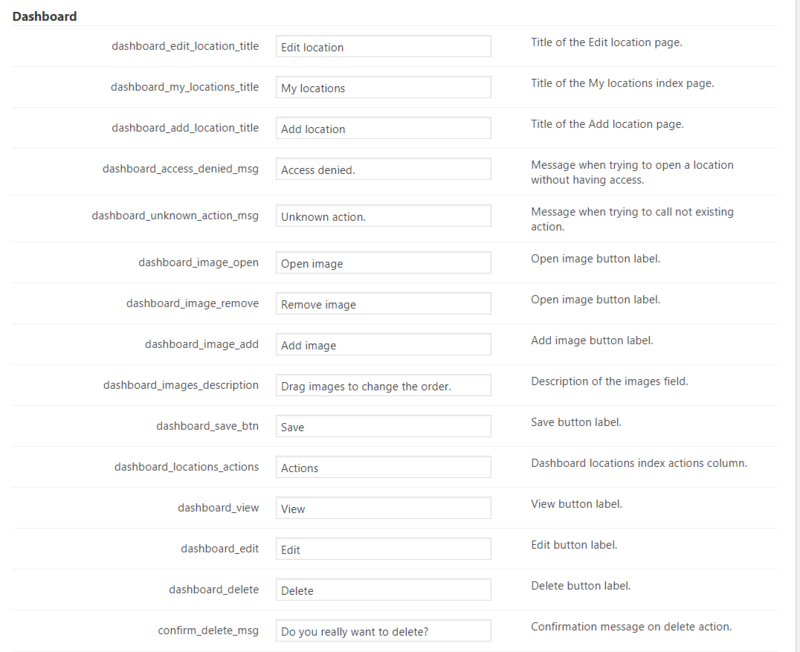 Added API configuration check button. Fixed issue with importing CSV file. Added new column to the CSV file to import the categories list. Added searching by ZIP code with a radius parameter on the index page. 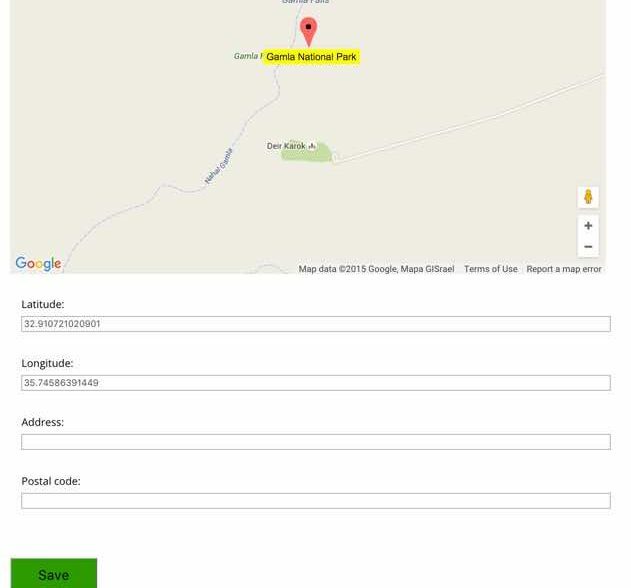 Added an option to use the web browser’s geolocation API to search by the ZIP code. Added an option to change the default location marker icon. Fixed bug with inserting images to the location. Added option to show current user’s location using the browser’s Geolocation API. 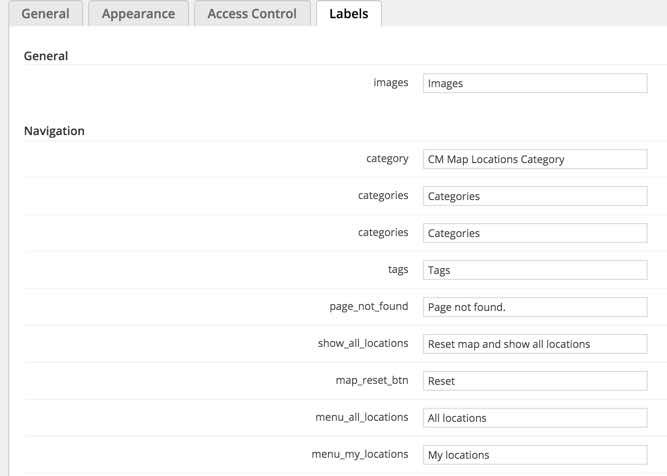 Added new parameters for the cmmrm-cmloc-common-map: path=1 and categoryfilter=1. Fixed CM Business Directory map shortcode. Fixed issue with map not being displayed on the edit page. 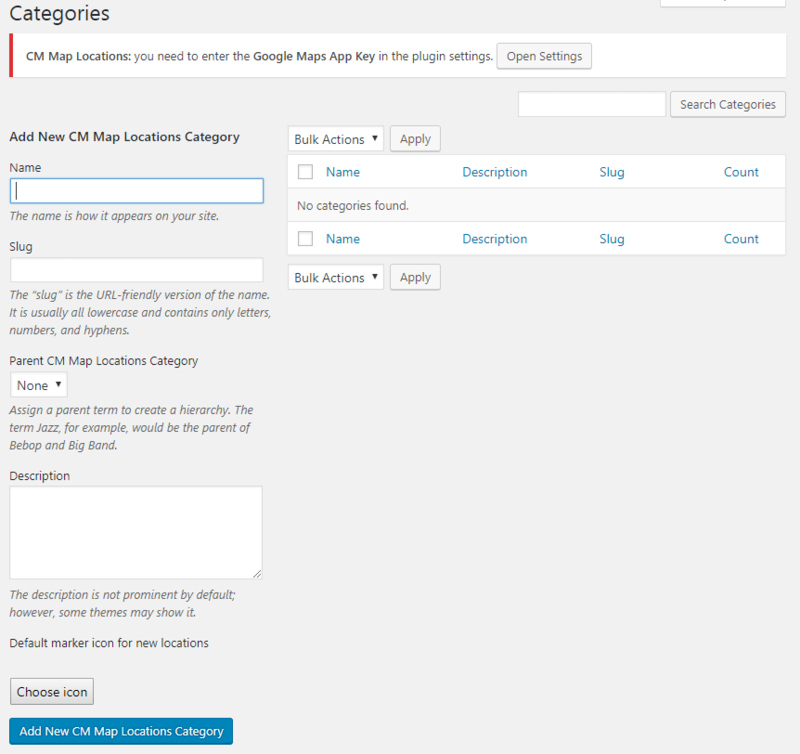 Added option to show map on the index page for CM Business Directory Pro plugin. 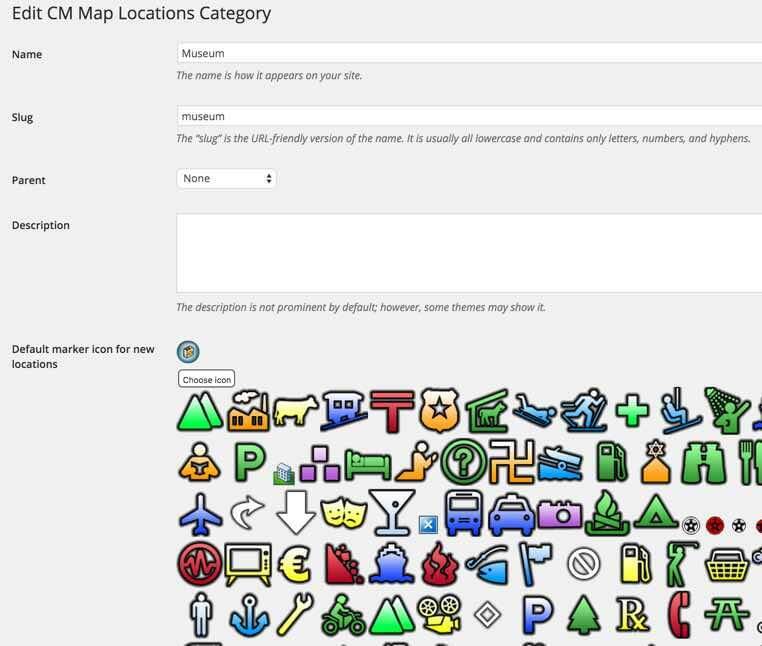 Added option to set the custom map icon URL for the CM Business Directory Pro plugin categories. Fixed issue with adding image to location. Fixed is_home issue for some themes. 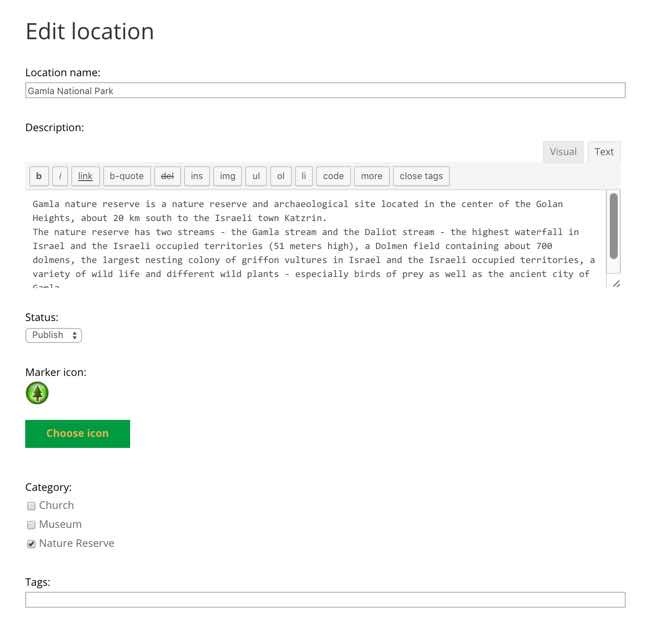 Added option to use rich text editor or simple editor for the location description. 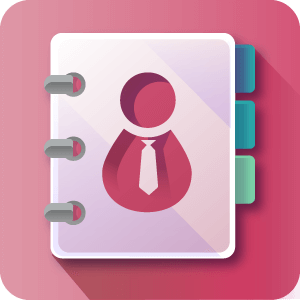 Integration with CM Business Directory. Added user uploaded icons per location. 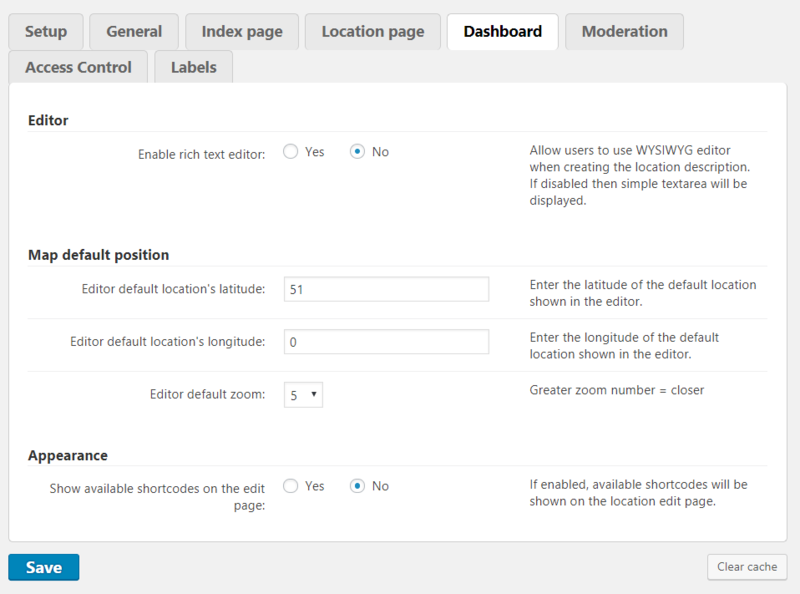 Added new parameters to the map shortcode. Made category param optional. 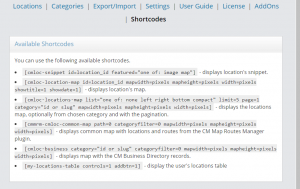 Displaying paginated locations list in the map shortcode. 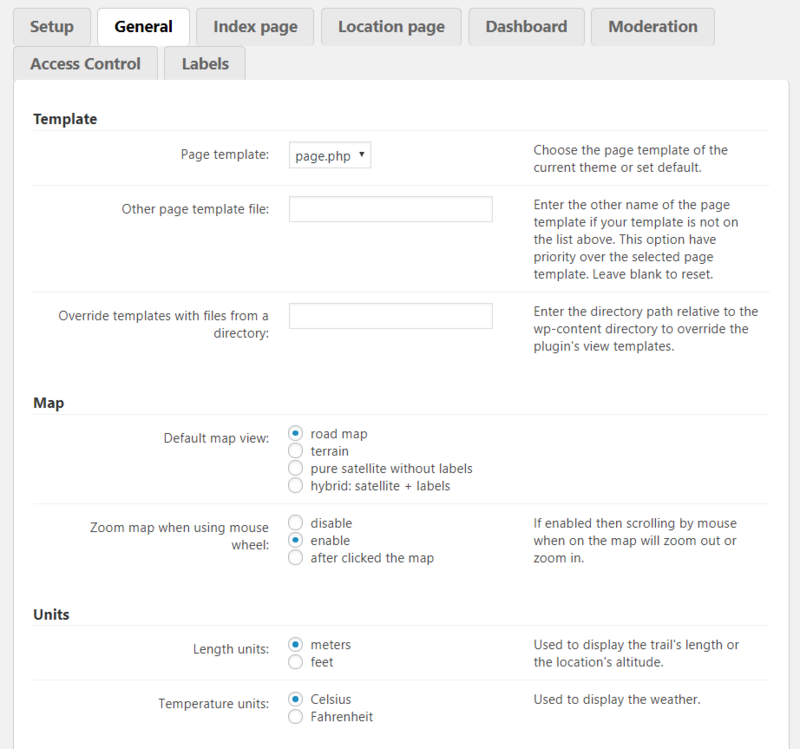 Added option to choose a page template for the front-end. Added option to change the index page ordering. 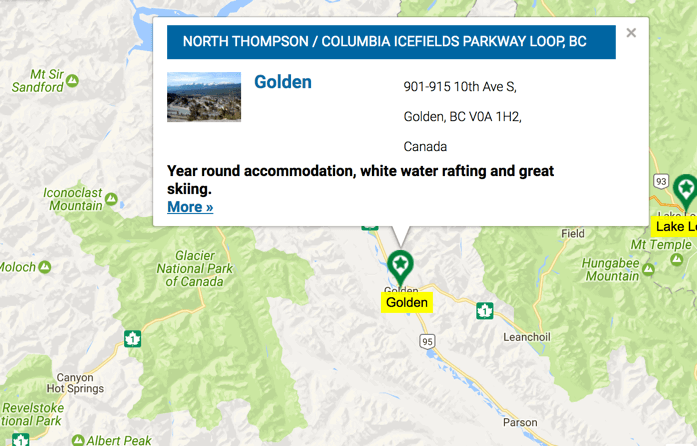 Added option to include location description in the tooltip. Added option to show tooltip when clicking on the list.